Convicted 17.08.1881 of allowing consumption out of hours. Convicted 18.02.1908 of sale to a child in an unsealed vessel. Fine 10/- plus 7/- costs or 5 days detention. Convicted 27.06.1922 of sale to a child in an unsealed vessel. Convicted 03.06.1927of selling out of hours. Back to the GARDEN HOUSE 1987. Refurbished and trading as a Craft Union pub by February 2019. Moulded wooden dado - cornice in interior of architectural note. 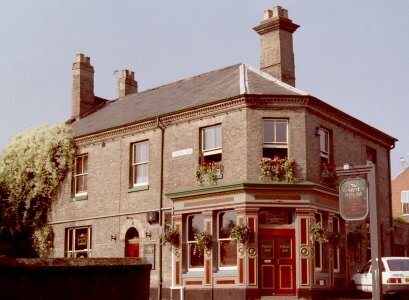 Considerably altered and redecorated in 1984/85 from two-bar corner pub of the late 19thC to modern trend Art Deco cocktail type decor. Facade is a good example of unspoilt late 19th C corner pub. Recent re-decoration, both interior and interior is sympathetically and imaginatively done.